T-shape conservatory The T-shape conservatory style works best on larger properties. 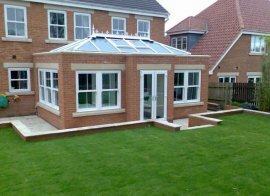 The T-shape is a combination conservatory style featuring a central projection. It can be Victorian, Gable or Georgian in style.